The ABCD Diaries: Veri Soda: Organic Low-Calorie Soda! 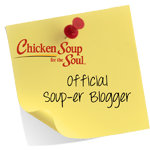 Looking for a light, refreshing, lower calorie soda option? Then Veri Soda might be just what you need! 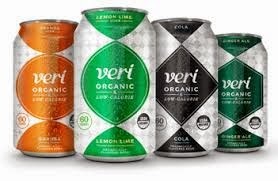 Veri Soda is available in four crisp flavors: Cola, Orange, Ginger Ale and Lemon Lime. If you're looking for sugary sweet drinks, these aren't for you. They are delicately sweetened with organic fruit juices, organic cane sugar and organic stevia and each an only has 60 calories! Think flavored sparkling water made with high-quality, organic, non-GMO ingredients. These delicious sodas would be great as drink mixers when you need just a hint of sweetness and flavor or a refreshing way to cool down on a hot day without downing loads of corn syrup and artificial ingredients.